We have featured quite a few different Kinect hacks here at Geeky Gadgets, from the cool Kinect Air Guitar Hack to the awesome Minority Report Kinect hack, and now we have a tiny humanoid robot controlled by the Microsoft Kinect. 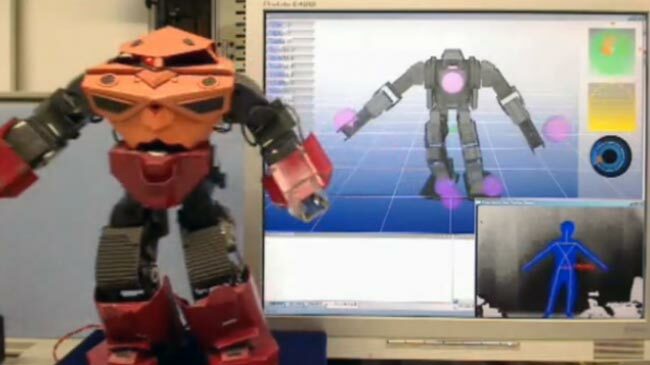 As you will see in the video below all of the robots movements are controlled using the Microsoft Kinect, and this one was made by Asura Engineering from Japan. Asura Engineering have used a GR-001 robot which can normally be controlled via remote control, although we think controlling him by a Kinect is much more fun.